An Administrative Professional’s Day Luncheon will be held at the Golden Leaf Commons. Guests will be entertained, fed and appreciated for their tremendous input in our community. Vendors will be brought in to provide additional support and assistance to busy working professionals. 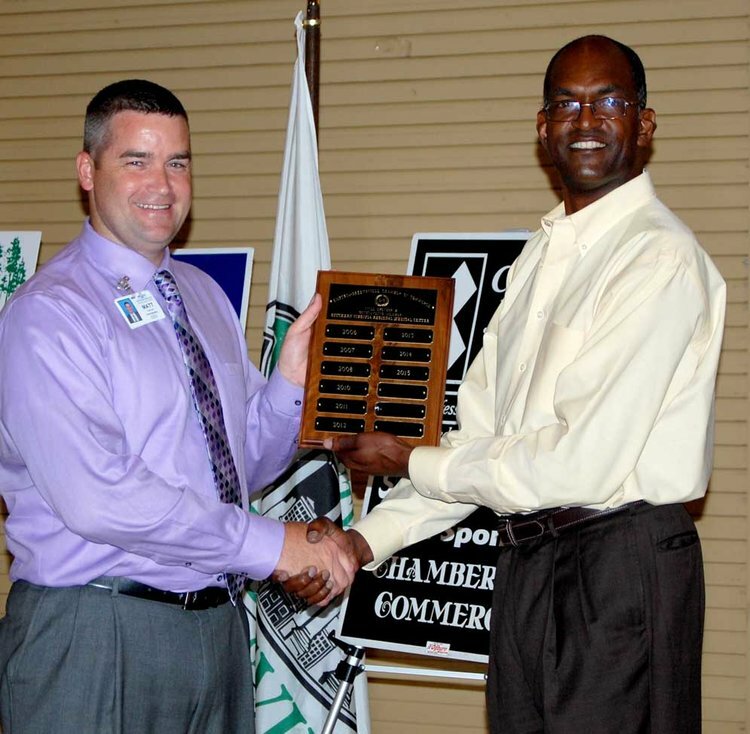 The Chamber Annual Meeting will be held on Thursday, May 17th at the Chamber Monthly Luncheon. Sponsors and members will be recognized for their tremendous support in the Emporia-Greensville community. Without the added support of additional sponsorships, dues collection alone would not be enough to do all that the chamber does. At this meeting, we will appreciate and value the added financial support we receive from our Sponsors. The Emporia-Greensville Chamber of Commerce will team with the City of Emporia to promote the Emporia Farmer’s Market. The community will be treated to live entertainment, delicious food, and demonstrations to promote healthy cooking and eating. The Chamber will sponsor an “Afternoon in the Park” for the entire community of Emporia-Greensville. The Chamber Board of Directors will provide free slices of watermelon throughout the afternoon. Vendors will be available and a local band will be brought in to entertain. A large fireworks show will be the highlight of the evening. The Emporia-Greensville Chamber of Commerce will host a Barbecue Beef Festival outside of the Chamber office featuring wonderful food, great music, and friendly socializing on downtown Halifax Street. This will provide great net-working opportunities for Chamber Members and the community. The Emporia-Greensville Chamber of Commerce will sponsor The Virginia Peanut Festival. This event will feature a parade, a car show, an amazing carnival, arts and crafts exhibits, and food vendors in Veteran’s Memorial Park throughout the weekend. In addition, bands and other entertainment will be brought in to perform throughout the day on Saturday, followed by a huge fireworks show Saturday evening. The entire membership of the Emporia-Greensville Chamber of Commerce will be invited to the Chamber offices for a Holiday Open House catered and hosted by the Chamber Board of Directors.